The market for RTLS healthcare technologies is estimated to reach over $2 Billion by 2020. The RTLS healthcare market generated revenue of $717.8 million in 2015 and is estimated to grow at 19.2 percent through 2021. The global RTLS market is poised to grow around 30.9 percent over the next decade to approximately $15 billion by 2025. RTLS technology also may help providers prevent the spread of infection by identifying equipment associated with an infectious patient. Some healthcare organizations may integrate their RTLS with other data sources to further improve the flow of patients, resource needs and reduce delays in patient care. 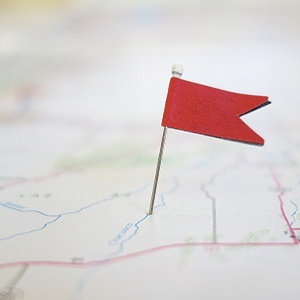 For those providers mandated to produce an “unable to locate list” for The Joint Commission, RTLS technology streamlines their ability to comply with the rule while meeting other quality measures, safety goals and requirements. At Syntrix Consulting, we help you integrate the appropriate technology and solutions that best optimize your business goals. We specialize in the healthcare industry and are up-to-date on the latest technologies and trends, We will work with you to implement the solutions and strategies that provide the most impact on your healthcare organization. Contact us today for a free consultation.